We understand that these are tough times, and any extra money you can save is a blessing. Here is something that might be worth your while. Do you have a child who goes to college or are you studying to advance your career? Don’t worry if you missed out on the tax credits this year, take a look at the various options available and be prepared for the next tax season. You could qualify either for the two college education tax credits or any of the various other education-related tax benefits. 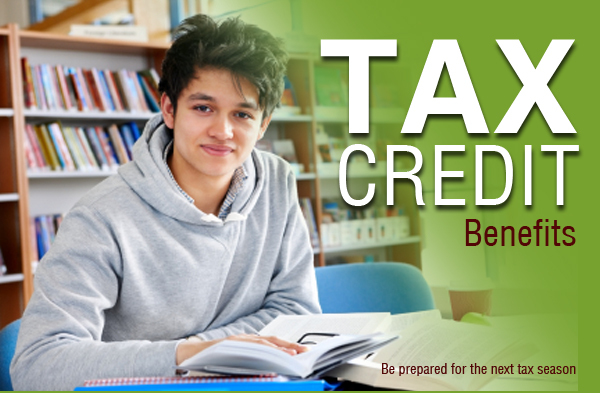 There are many options available, including the American opportunity tax credit, lifetime learning credit, and tuition and fees deductions. Eligibility extends to the primary taxpayer, the taxpayer’s spouse or a dependent of the taxpayer who is a student. Even though a taxpayer might qualify for more than one of these benefits, he or she can only “claim one of them for a particular student in a particular year.” The American Taxpayer Relief Act, enacted on January 2, 2013 has extended the American opportunity tax credit for until the end of 2017 and the tuition and fees deduction through 2013. The credit is applicable for the first four years of post-secondary education, and the student must be enrolled at least half time. Students who have already completed the first four years of college do not qualify. Also included are tuition, enrollment fees, books and other required course materials. The credit equals 100% of the first $2,000 spent and 25% of the next $2,000. This means that a full $2,500 credit may be available to a taxpayer who pays $4,000 or more in qualified expenses. The full credit can only be claimed by taxpayers whose modified adjusted gross income (MAGI) is $80,000 or less. For married couples filing a joint return, the limit is $160,000. Tuition and fees required for enrollment qualify along with other fees. Additional expenses do not qualify. The credit equals 20% of the amount spent on eligible expenses. That means the full $2,000 credit is only available to a taxpayer who pays $10,000 or more in qualifying tuition and fees and has sufficient tax liability. Income limits are lower when compared to the American opportunity tax credit. For 2012, the full credit can be claimed by taxpayers whose income $52,000 or less and $104,000 for married couples filing jointly. Keep these facts in mind when filing your taxes for 2013 and claim as many tax credits as you can. For more information on tax forms, please visit 4506-Transcripts. This entry was posted in IRS and Tax Transcripts and tagged Claim, Education-related tax benefits, fees deducations, Tax Credit, taxes 2013. Bookmark the permalink.